Lebanon‘s waste management seems to resemble many others in threshold nations. Of the daily amount of roughly 4,500 tons to 5,000 tons of municipal solid waste, 48 percent is landfilled, 29 percent openly dumped, 15 percent composted and only 8 percent recycled. 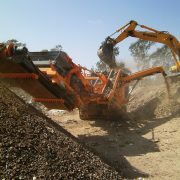 Latest figures indicate 504 municipal solid waste MSW dumps and 166 construction and demolition waste dumps in Lebanon. An elder paper edited by the International Labour Office and UNDP explained that “Lebanon lacks any comprehensive strategy or efficient system to handle industrial and hazardous waste. As a result, the waste management system is rapidly reaching its capacity and operational limits“. These limits were reached sooner than expected. Lebanon’s municipal waste has potential capability. Apart from 60 percent organic waste – primarily because of exuberant hospitality and the makeup of the Lebanese cuisine –, it is composed of 20 percent paper and cardboard, 5 percent glass, 4 percent metals and 2 percent plastics. Allegedly various projects have been undertaken to rehabilitate waste disposal sites, namely Normandy, Beirut, Slayeb dump, Zahleh dump and recently Saida dump. The Italian ROSS Program decided to invest in the development of a sound solid waste management strategy in Lebanon and started a few pilot initiatives. A country report by the Solid Waste Exchange of Information and Expertise Network in the MENA Region (SweepNet) presents a number of small and medium sized sorting and composting plants – part of them under construction – that have been implemented by the Office of the Minister of State for Administrative Reform through EU financing: “The municipal investment projects in solid waste management” resulted in the construction of 12 solid waste facilities, the delivery of 13,788 solid waste collection containers and 59 solid waste collection and handling vehicles. And the American University of Beirut Solid Waste Management Task Force spoke of 28 recycling companies for treatment of plastics (13), metals (10), paper (8), glass (3), electronics (2) and tyres (2) in 2016. But not all that glitters is gold. A register published by Localiban, the Centre de ressources sur le développement local au Liban, points out that – if not handling it to Sukleen – very few municipalities manage to separately collect their waste and even fewer intend to recycle it, relying on private companies. And that the high cost of waste collection and burial in Lebanon prevents municipalities from living up to their responsibilities resulting in wider budget deficits and failure to pay the fees required for collection and treatment. 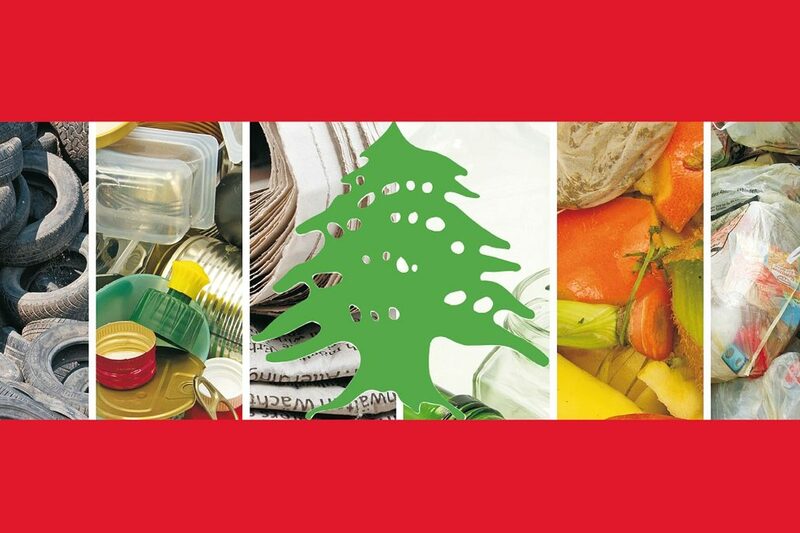 Meanwhile, the collection of reusable and recyclable materials in Lebanon is mainly handled by estimated 2,000 to 4,000 informal scavengers in urban centers and around dumpsites. In 2001, the Center for Biotechnology Information characterized the Lebanese waste management policy as a “deficient institutional framework, a lack of adequate environmental laws, and lax enforcement of regulations governing industrial-waste management“. In 2014 SweetNet found themselves forced to judge that there was no specific legislative framework dealing directly with solid waste management in Lebanon. The framework law for the protection of the environment – adopted in 1988 and amended in 2002 – does not provide regulating details for the solid waste management. Only Decree 8735 of 1974 assigned solid waste management as a municipal responsibility, and Decree 9093 of 2002 provided municipalities with an incentive to host a waste management facility addressed the sector specifically – a very weak frame of regulations and directives. Roughly half of the total amount of waste in Lebanon is generated in Beirut and in 225 towns and villages in Mount Lebanon; its handling was mainly outsourced by contract to private collecting company Sukleen. 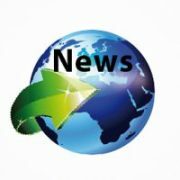 Sukleen – judges the international radio station Deutsche Welle – was not very ambitious in further handling either: The collected waste was little or not treated and dumped in the Naameh landfill South of Beirut. 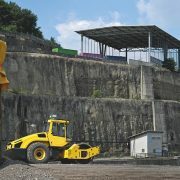 Naameh landfill was opened in 1997 with a capacity for ten years. But the landfill was left open until it accumulated eight times its capacity and was closed caused by protesting residents in July 2015. Sukleen stopped the collection, no alternative could be found, and in the absence of governmental solutions the vast majority of municipalities saw their waste openly dumped on streets, under bridges, on riverbanks, in valleys or in being burned in open dumps. 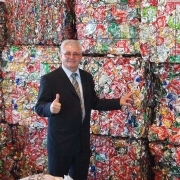 In July 2015, the Minister of Environment, Mohammad Machnouk, announced that the trash crisis would be solved in a fortnight. In fact, several days later he urged the cabinet “to declare an environmental state of emergency in Lebanon, for fear of a trash catastrophe, the solution to which remains disrupted by politicians.“ In October 2015, he signaled “best efforts“ to find landfills within a decentralist solution, but “faced procrastination and deficiency by the political forces that failed to ensure the required coverage in this regard“. 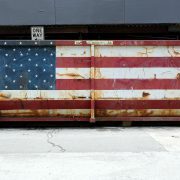 And in January 2016, he had to admit that “following the political inability to find an ecological landfill, the government was forced to resort to the exportation of waste.“ Actually the Government of Lebanon approved a – not implemented – plan to export household trash to Sierra Leone or Middle-Eastern countries. At that time, the minister had to face another, bigger problem: the Syrian refugees. Already 2013, the UNHCR spoke of registered 1.3 million Syrian refugees in a country crowded by 4 million Lebanese people. Antoine Chedid, Ambassador of Lebanon to the United States, is quoted that this overpopulation affected most sectors: “the economy, trade, public finance, health, education, safety, the labor market, infrastructure, traffic, and waste management“. In February 2016, during the UNDP Conference on Environment, Mohammad Mashnouk had to confess his nation’s “helplessness in implementing environmental procedures“ due to the severity of the Syrian crisis‘ impact on the Lebanese environment. He numbered the necessary intervention priorities to 2.8 billion Euro. The EU Commission assisted Lebanon amongst others in the “promotion of sustainable and transparent management of energy and natural resources“. 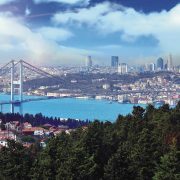 So the European Neighbourhood Instrument funded the upgrading of solid waste management capacities by 21 million Euro. Waste water projects and road transport infrastructure were additionally benefited by the European Investment Bank (EIB). And regarding the refugee problem, the European funding amounted to 489.6 million Euro for humanitarian and developmental targets “addressing both refugees and host communities’ needs in particular when dealing with infrastructures: water, waste water, solid waste management but also in the health and education sectors“. But the financial aid was no support to end the waste management policy difficulties. In October 2016, Mohammad Machnouk wrote: “In the absence of a formally adopt­ed law for Integrated Solid Waste Management, initially proposed by the Ministry of Environment in 2005 and forwarded to the Parliament in 2012, the problématique remains a shared responsibility between a number of concerned ministries and administrations.“ Or in the words of the Deutsche Welle, appraised at the end of December 2016: “The Government has not yet found a political solution.“ The public was enraged. Already in 2013, a country report denoted that inspite of some campaigns and implementations of solid waste management facilities the public was highly suspicious about such facilities, had not perceived positive outcome and could not identify direct benefits from participation. The situation is messy, solutions rare and proposals cheap. Karim Hammoud, deputy general manager at privately funded company IBC, for example was sure that Lebanon needs almost four or five more companies similar to IBC and estimated the initial capital required to build a single company with a capacity of 500 tons to be 37.7 million Euro at a return of the investment of 20 percent. SweepNet in cooperation with the German association for international collaboration urged financial support – sustainable and including a cost recovery plan to secure that the facilities will be operational: “Make use of all the funds and loans provided to the municipalities from various donors like the EU, USAID, YMCA, World Bank, etc., in an orderly manner compatible with the local needs and priorities.“ In 2014, the U.S. Department of State was convinced that Lebanon offers tremendous opportunities in energy-related sectors and “is keen to attract U.S. investment because of its state-of-the-art capabilities in technology, know-how and competitiveness“, as the country “traditionally has remained open to foreign direct investment“. However: It is predictable that waste generation in Lebanon will grow. Some figures indicate a growth to 2.4 million tons by 2035, some predict 3 million tons exclusive of the Syrian refugees already in 2020. Anyway this seems to be too much for a country that is scarce in land disposal and minimal cost recovery.